Logically through the dimension of the great Pyramid of Cheops, a certain energy get produced inside the pyramid which affects directly the conserved invisible cyanotic energy that exists in the human being and getting the full healing power. You can learn to move through life in perfect harmony with the universe. To accomplish this, we look to our ancestors in ancient Egypt. They exhibit habit patterns that send massages of healing and power to anyone open enough to observe lessons on how to live. Their precious gifts of true medicine are free. When you call upon their power, you are asking to be drawn into complete harmony with the strength of their essence. Gaining their understanding is a healing process mentally, physically and spiritually. • Arrival Cairo Airport. Meet and assistance. Transfer to your hotel. Check in. Overnight. • accompanied by your meditation guide. Lunch at local restaurant (vegetarian food). • P.M. Hydrotherapy treatments at SPA and opportunity to buy original lotus perfumes that was dressed by ancients Egyptians. • Back to your hotel. Overnight. • A.M. Visit the trip Pyramids in Sakkara. Meditation session in Valley temple of the King Ounas. Lunch will be served at a vegetarian restaurant during the tour (vegetarian food is a preferred). • P.M. Visit the pyramids area. Meditation session inside the Great Pyramid of Cheops. • Back to your hotel for relaxation. Dinner (vegetarian) Overnight. hotel. Check in. Rest of the day free for relaxation at the swimming pool. Dinner. Overnight. • P.M. Visit Karnak Temple. Meditation session at Sekhmet Shrine. Back to hotel . Dinner. • A.M. Drive to Abydos (170 km approx.) Meditation session at Seti First temple to feel the power of the King Seti 1st . Lunch to be served during the tour. Drive back to Dendehra. • Meditation session at the Goddess Hathor "the Gods of Love" to feel the love tendency of Hathor. Drive back to Luxor. Dinner. Overnight at your hotel. • A.M. Breakfast at your hotel. Departure to Aswan. On the way stop to visit Edfu "the Temple of Horus" Meditation session at Horus Temple to Feel the male tendency of power. • Continue to Kom-Ombo where you will visit the double temple of Kom-Ombo. Meditation session at Kom-Ombo Temple to make balance between the bad and good energy that exist inside the human being. Drive to Aswan. Check in. • P.M. Relaxation at your hotel. Dinner & overnight. • Breakfast at your hotel. Visit Philae Temple in Aswan "Temple of Isis" Meditation session to feel the female power tendency of the Queen Isis. • P.M. Visit Abu Simbel Temples, temple of Ramses the second to feel the great power of the King Ramses II, the Temple of Nefertari. (Wife of Ramses II) Meditation session to feel the love of the Queen Nefertari. Back to your hotel. Dinner & overnight in Abu Simbel. • Morning breakfast. Transfer to Abu Simbel Airport for flight to Cairo. Arrival, transfer to your hotel. Check in. Lunch at local restaurant "pyramids area" The rest of the day free for relaxation. 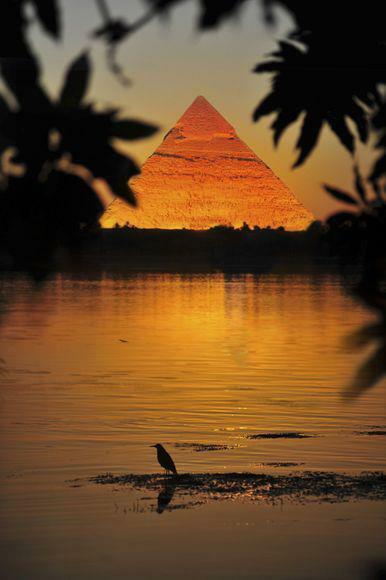 • Evening, dinner in a spiritual environment at the pyramids area, after dinner open discussion with your spiritual guide about the feeling of everybody. • Morning breakfast at hotel. Transfer to Cairo International Airport for your onward flight. One night accommodation in Luxor. All transferring Cairo Luxor and Aswan. English speaking guide (other languages available).